The first review I ever posted on my blog was on The Body Shop Camomile Sumptuous Cleansing Butter, and if you'd like to go back in time with me and see some awful photography (why wouldn't you?!?) you can see that post right here. I've become slightly obsessed with cleansing balms. I love the lusciousness of them. From the chunky packaging that sets them apart from all my other skincare, to their varying thick textures, the soothing scents they carry, to the way that melt upon contact with my face. 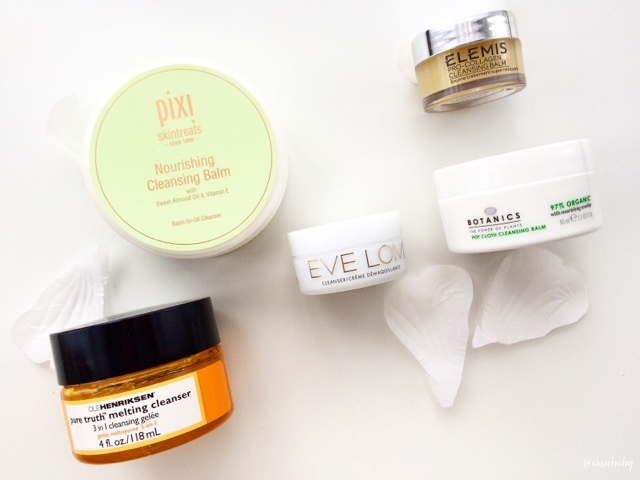 I just love the whole experience of using a cleansing balm. They're not as messy as oils, they don't foam up or go running down my neck and arms. It is my ideal cleansing formula for sure. 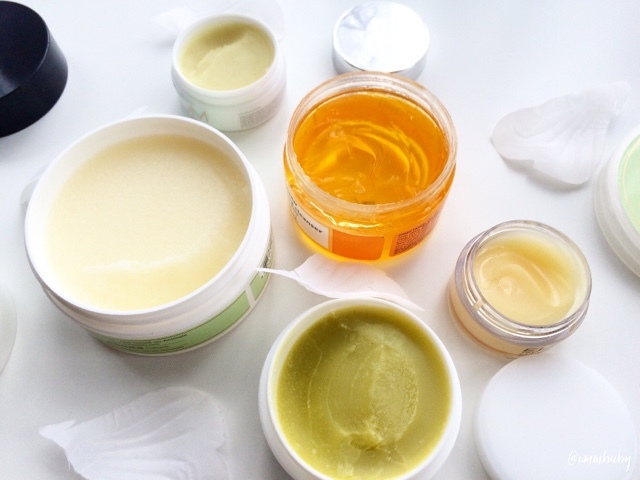 I wanted to share how I've been getting along with my current cleansing balm line-up. 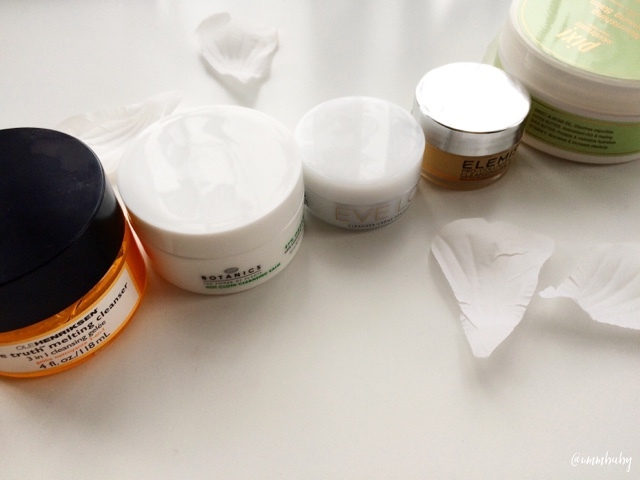 I won't go into the ingredients/science of each too much (its my polite way of bowing out and admitting it's not really my forté) but I'll link more detailed reviews of some of them by trustworthy bloggers who know their skincare stuff. I'm going to focus more on my experiences using each balm, how effective I find them and whether they are products I seek to keep in my skincare lineup in the future etc. For reference, I rely on cleansing balms not just for pleasurable face cleansing, but also removing makeup. For me, double cleansing is lovely as long as it's a luxury, but not compulsory. So my thoughts are based along these criteria. (Correct me if I'm wrong but) I believe this is the most affordable cleansing balm available on the market. This organic product contains rosehip, which is a nourishing, hydrating friendly ingredient for the skin, and thus the balm has a light rose scent. Although I don't normally gravitate towards rose scented things, I've grown accustomed to this scent as it's the same as the Botanics Facial Oil, which my skincare cabinet is never armed without. The product also comes with its own muslin cloth which is nowhere near as effective as using a flannel in my opinion, but it's a nice touch especially for emergency situations. 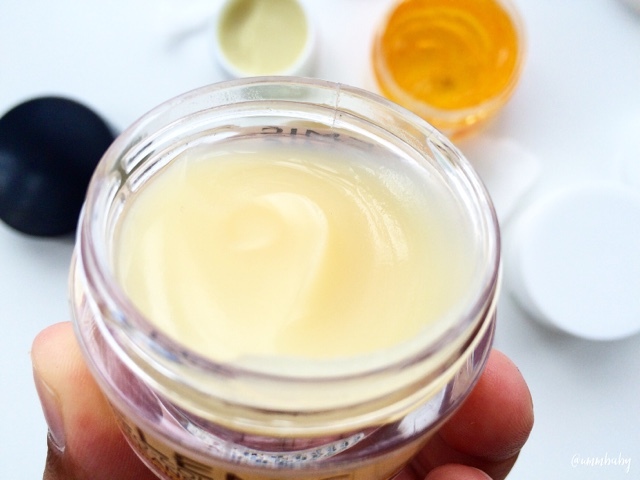 The balm, like a traditional cleansing balm, is solid though it can begin to soften in warmer temperatures. It has some gritty bits in it that melt with warmth so it's not an issue. It is a very thick formula, that I find myself needing to soften between my fingers to get the melting process started. I really enjoy this texture for a good facial massage as I feel it has less slip than some of the others, and it really does leave the complexion looking and feeling nourished. For me though, that's where the positives stop. Although it's great at removing face makeup, I haven't been able to get this to be as effective on eye makeup. 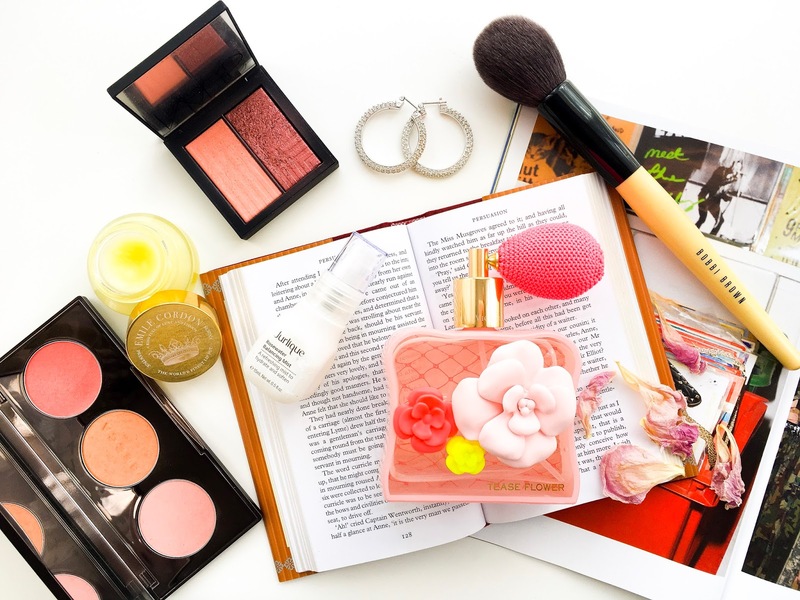 Yes, I could remove my eye makeup separately but for me I need an effective one-stop shop option in each of my products so I can indulge if I have the time in a further cleanse. Because it's so thick, it really doesn't work itself into my eye area to break down all that waterproof makeup. In addition to this, and most importantly for my experience, it doesn't emulsify on contact with water. It just sticks to my fingers and feels heavy and cloying and just annoys me. It literally can only be removed from my hands and face with a warm, damp cloth. This is fine but personally I just don't enjoy it as much because of this reason. 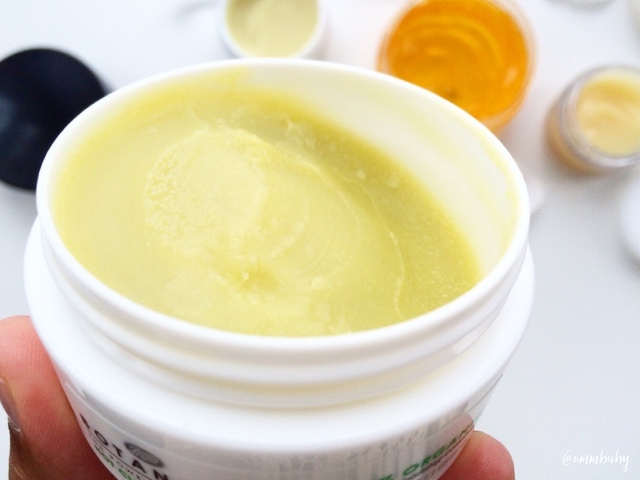 This balm leaves a sticky, tacky residue once it has been removed with the face cloth. I always have to cleanse again after using this. For me, that defeats the purpose of the convenience of a cleansing balm making it a less pleasurable experience. I have to make sure I use this when I know I have time to really focus on my cleansing, rather than daily. 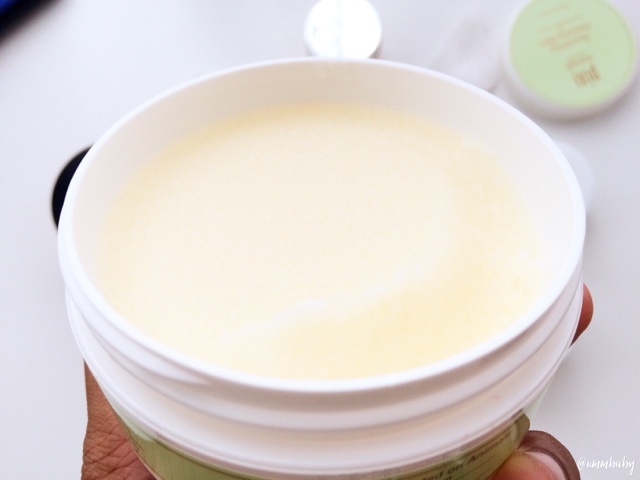 Overall, this cleansing balm is a good option if you want a balm that is very affordable or if you want to try the experience of a cleansing balm without spending a lot of money. It is an effective cleanser really, but for me it's just not giving me everything I want in my cleansing balm. This is the balm I waited the longest to get my hands on and a small ASOS order a few weeks back saw the travel size tub sitting on my lap. At a much heftier price and armed with praise from left, right and centre, I automatically expected a far superior product that would be effective for my cleansing needs and more enjoyable to use overall. I am pleased to say this product really does live up to the hype. Whilst the packaging of this smaller size pot is nothing to dwell on (someone please tell me the full size has beautiful, weighty packaging!!!) the balm it contains is a lovely texture to begin with. 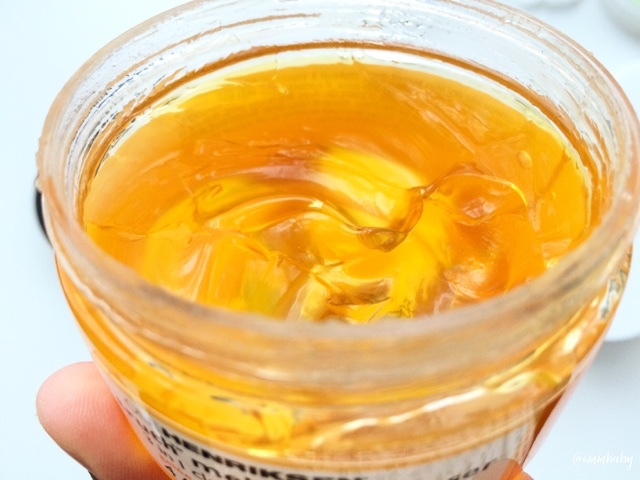 It's a balm, but almost a gel, which is easy to pick up and begins to melt instantly with no additional effort required. The scent is gorgeous - a mix of essential oils and flowers?!? - which is the scent I wish all of these balms had. Its a relaxing, soothing smell. I only need the smallest amount of this, which has a good amount of slip, to get this all over my face and neck. It melts away the makeup with little effort and leaves my face looking brighter and healthier instantly. This balm turns milky upon contact with water which is fantastic by me. It means I can rinse my hands and then get my warm flannel on my face without needing to clean my hands thoroughly first (pet peeves!). It also means I can splash water on my face after using it, to get rid of some of the broken down makeup before going forward with my wash cloth should I choose to. 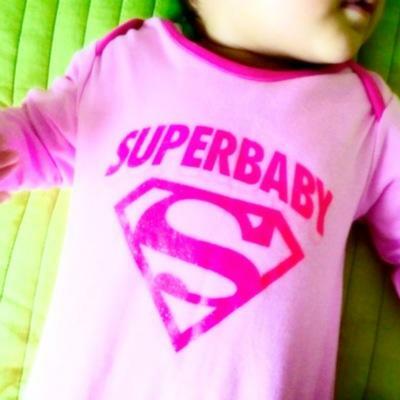 To me, this means quicker and more efficient. I love this balm and can see myself snapping up a full-size tub of this soon. I can't imagine anyone not falling in love with this balm even after one use. This is the veteran cleansing balm that I've been curious about since learning about the existence of cleansing balms. It needs no introduction but with an eye-popping price tag, I wasn't looking to try this out full-size any time soon. So I leaped with a gasp when I received this as a freebie with a LookFantastic order. Like the Botanics balm this is a slight green tinted solid balm that begins to melt with warmth. I'm not sure if I'm putting myself out there to be called crazy, but I'm pretty sure this has shimmer running though it. It glistens like none of the others and I'm convinced that there's some teeny tiny pink irredescent shimmer particles in it. Either way, I don't think it affects the performance of the balm. This is that traditional texture and feel, but thankfully this is a lot easier to work with on a full face of makeup. It is thick but not so thick that it slides right over makeup. It is effective on eye makeup but I find it very strong and it does tend to sting my eyes. Maybe it has something to do with the ingredients but I just don't like to take this near my eye area. Again, that is disappointing as I hate feeling like I have to cleanse my eyes separately. But a positive is that it does emulsify and is easily and quickly removed. For me the biggest problem I have with this legendary cleansing balm is the scent. It is so strongly perfumed with what I assume is essential oils, the smell travels straight through to the back of my head and gives me the niggling feeling of an impending migraine. It is powerful and I have to reserve using this for when I'm sick and my nose is blocked up. Even now, as I opened it in preparation for this post, I am struggling to focus because it is so pungent and unpleasant. Personally I don't think this cleansing balm contains anything or does anything that justifies the price of it. I feel like there are others that contain better ingredients that are just as effective and pleasant to use. It's one of those balms that a skincare addict or a cleansing balm junkie will want to try at least once but I can't see myself ever buying the full size of this. Although not technically a cleansing balm, this gel cleanser behaves like a cleansing balm with a softer texture to begin with. Coming in a bright, happy, bold and generous tub containing 118ml of product, this cleanser boasts a 3 stage formula that is meant to increase its ability to deeply cleanse the skin. Refreshingly this smells like oranges on a summer day. Once you massage this over your face and makeup, it turns to an oil and a deliciously pleasant one at that. Once water is added to this you get a milky formula, that is also able to continue cleansing. Some of the other balms emulsify but they lose that slip and effectiveness. But this is a great option if you choose to go for a very thorough cleanse. You can always skip that and just remove the oily stage with a damp cloth. I find this highly effective on both face and eye makeup. It is easy to move around and work into the face and leaves the face incredible soft, plump and bright. It is such a lovely experience every time I use this. It literally is so bright is makes me smile, and then to be so perfect at cleansing just puts it up there in status as one of the best cleansers I've ever used. I would recommend this one to everyone especially since it is more affordable than the Elemis balm and does the same thing. 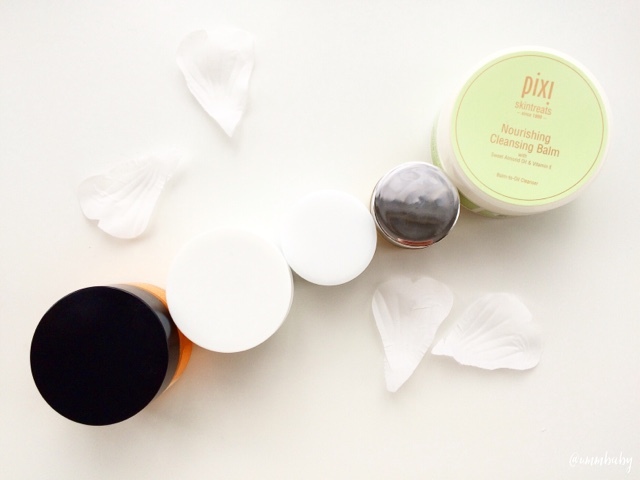 Finally we have the sweet scented offering from Pixi, who have single handedly wooed me out of a huge chunk of my wealth these last couple of months with their new skincare additions. This cleansing balm is packed full of nourishing oils and butters and it claims to leave you with a glowing complexion. 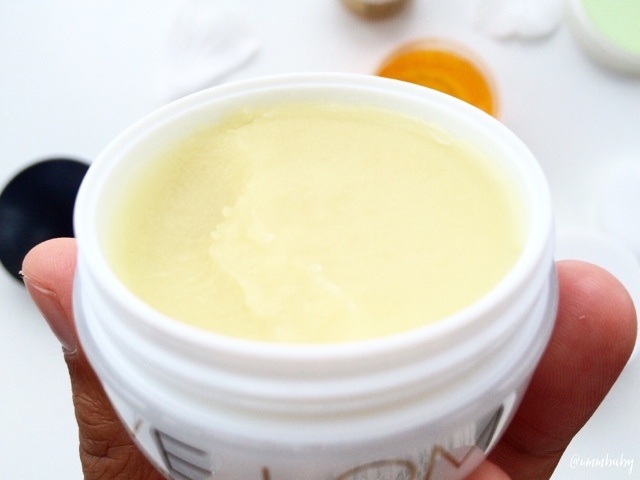 It has that typical cleansing balm texture and feel, that turns into an oil when massaged onto the face. Personally I was expecting something incredible from this cleansing balm, mainly due to the ingredients boasted about on the packaging. In all honesty, it is a lovely cleanser but again I find this hard to work with as a makeup remover. It definitely cleanses the face and leaves the skin feeling and looking nourished and fresh and glowing but I hold a grudge with it for its inability to effectively remove my face paint. Another grudge I have with it, which shocked me because I really did expect so much from this, is that it also doesn't turn milky and wash away easily. It is so thick and sticks to my hands and face. A warm flannel does the trick but I really don't like that about it. To me, this is very similar to Botanics except with a bigger price tag and a larger tub. I have to reserve this for those days when I really can take some time over my cleansing and think it through because it also leaves a residue. I'm not one for cleansing balms in the morning, but if I had the time I would really enjoy this one. It has a mild sweet scent and is very lush to use, but sadly doesn't fulfil my criteria. I think anyone who likes thick cleansing balms would really enjoy this, especially if you don't necessarily use them to remove makeup. It isn't the worst cleansing balm but I don't see myself repurchasing this. Before I conclude this rather long digestive, I should mention that of course you may have different experiences with any of these products because your needs may be different or you might just have more time than I do (lucky thing!). Some of these balm may lead to clogging of pores but I don't find this to affect me, and I believe that regular use of clay or mud masks can help to keep this issue at bay. If you do want to try before you buy, most of these come in travel/sample sizes to purchase which is great. So there you have my comparison of the cleansing balms in my collection bar one. The remaining one that I own requires a post all of its own so look out for that soon. 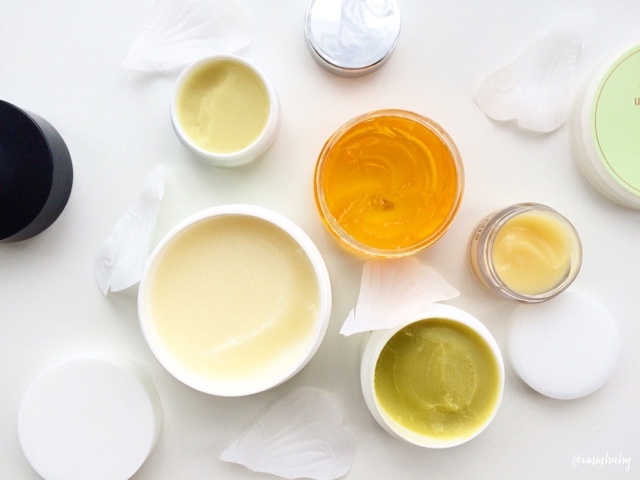 If you're new to cleansing balms or curious or indeed a daily balm addict, please let me know your thoughts of any of the balms I've mentioned. And feel free to recommend any others that I should get my hands on.